We’re delighted to announce that Skin Health Solutions is moving premises! We are opening two brand new offices/distribution centres, one in the south of England and one in the north. We are supplying more products than ever before, both in quantity and size of our range – which means its time to move. We have seen a huge surge in demand for non-invasive skin therapies that deliver the outcomes clients require. Microneedling is leading the way with dermarollers and Dermafix being our top selling products, closely followed by the enormously popular sheet masks. We are very lucky to have a South Korean brand as part of our portfolio, very on trend, very innovative and of the very highest quality. Genosys really delivers on all levels and is a truly medical skincare range. Whilst Emma Coates Aesthetic Training has always been our education partner we have decided to cement the relationship and move in together! We understand there will be some exciting new announcements coming from them in the next few weeks. They have increased the amount of training days available and the move will offer an improved venue, improved logistics and the all important improvement in parking facilities. 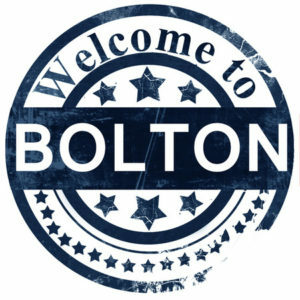 So our northern site will be located in Bolton, adjacent to the stunning Queens Park and prestigious Bolton boys school. We chose the location for ease of access for both our clients and staff. We have fallen in love with the area and its warmly, friendly vibe. Our new site in the south is yet to be finalised, but what we can say is that it will be in London and will be within the next few months. This will give us smoother logistics and operations and in turn give you, our customers the best service we can possibly offer. That is what matters most to us here at Skin Health Solutions.